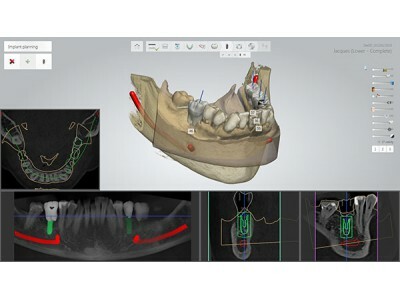 3Shape’s new Implant Studio™ solution brings together implant planning, prosthetics, and design of surgical guides for local manufacturing. Now dentists can get the complete treatment package and treat their patients in a single surgical operation. 3Shape Implant Studio™ provides a cost-efficient solution that improves turn-around time, helps to enhance clinical results, while creating new business opportunities for both dentists and labs.